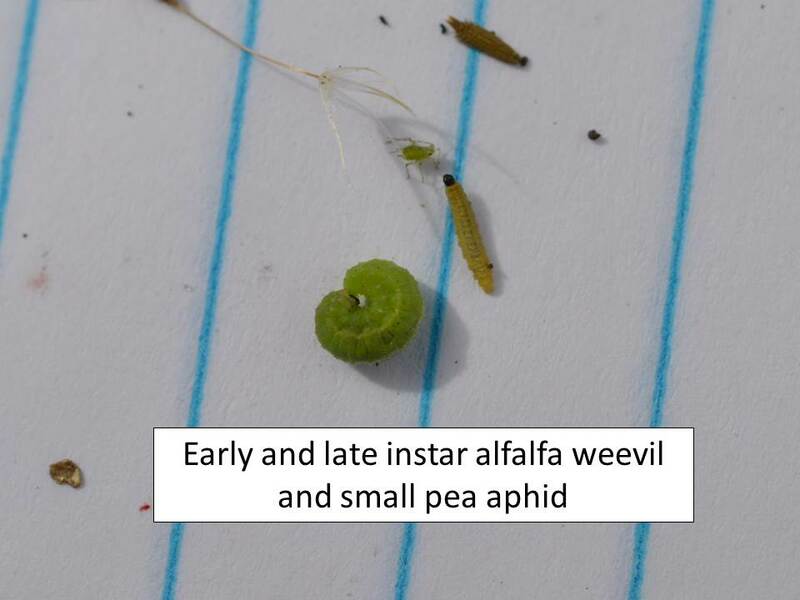 Alfalfa weevil larvae continue to hatch throughout north central Kansas. Plants still do not seem to be growing very much. 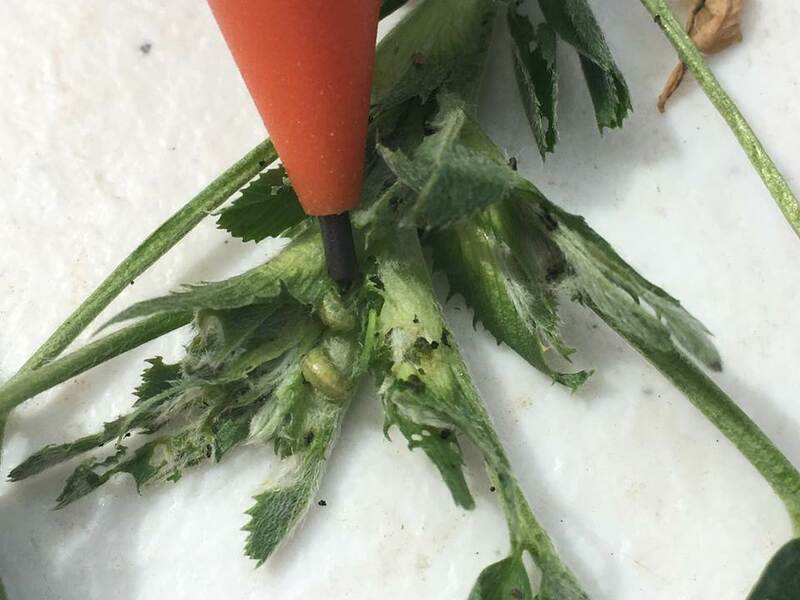 The larvae that have hatched are still tucked inside the tightly closed terminals where they do not shake out very readily when utilizing the “shake bucket” sampling technique. 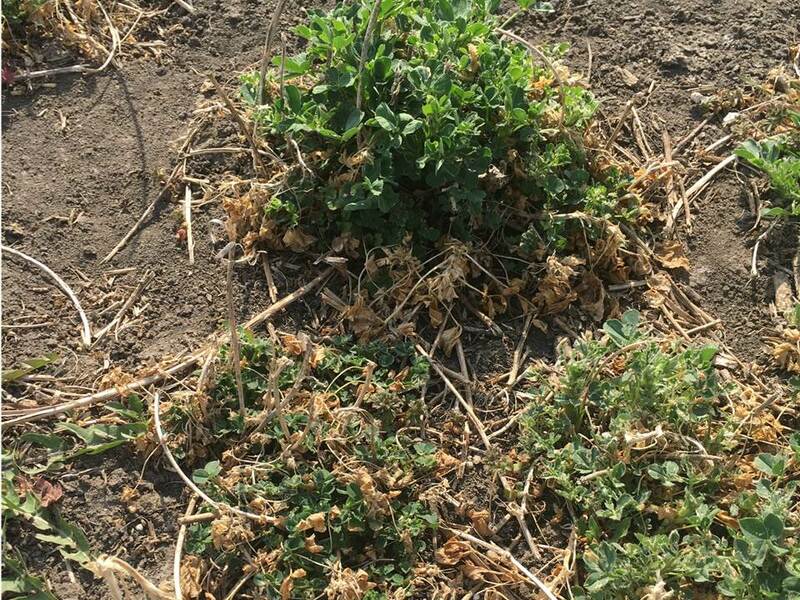 Thus, many producers are underestimating infestation levels. 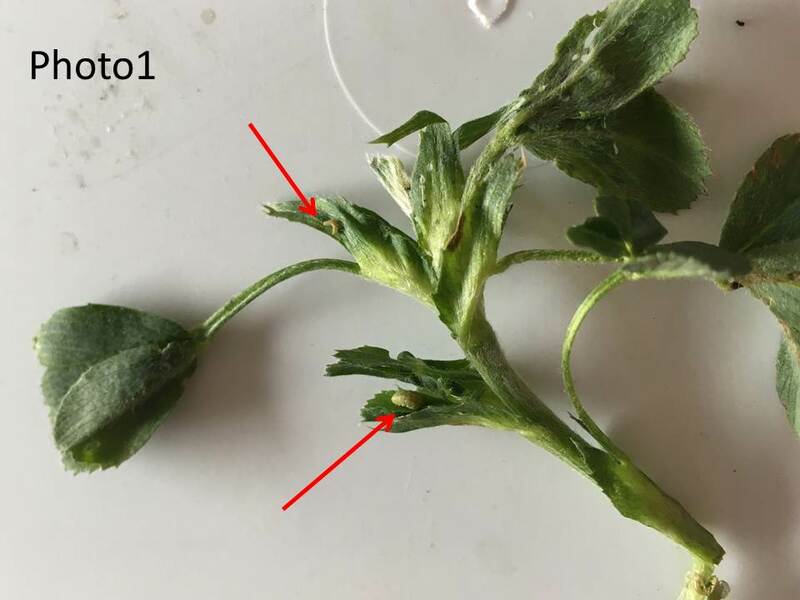 So, when sampling to determine treatment threshold, be careful to account for the small stems that hold larvae which aren’t shaking loose. 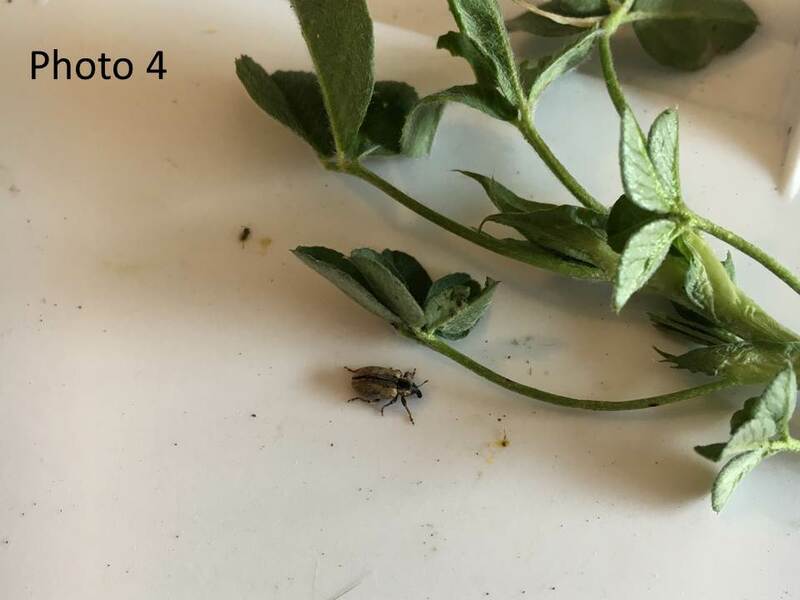 These small plants need to be totally pulled apart to get an accurate count on alfalfa weevil larvae. 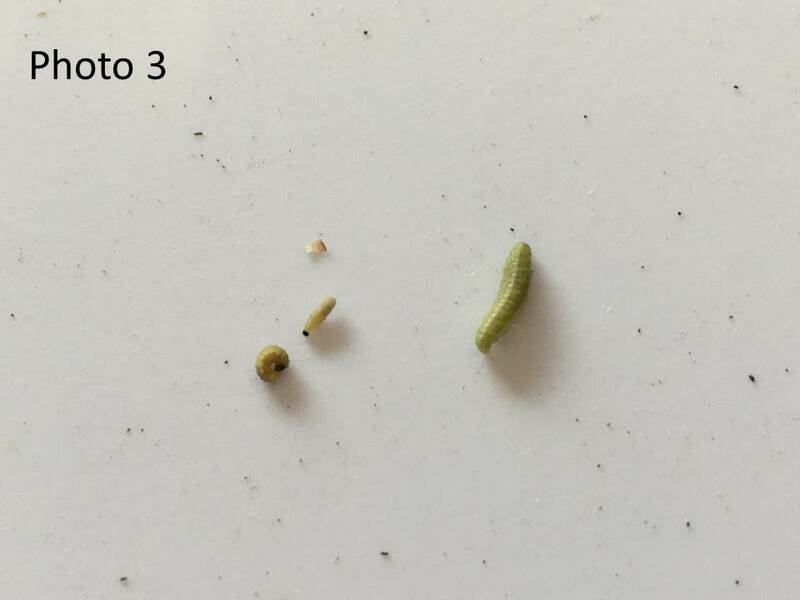 As of 22 March, there were various developmental stages of larvae. 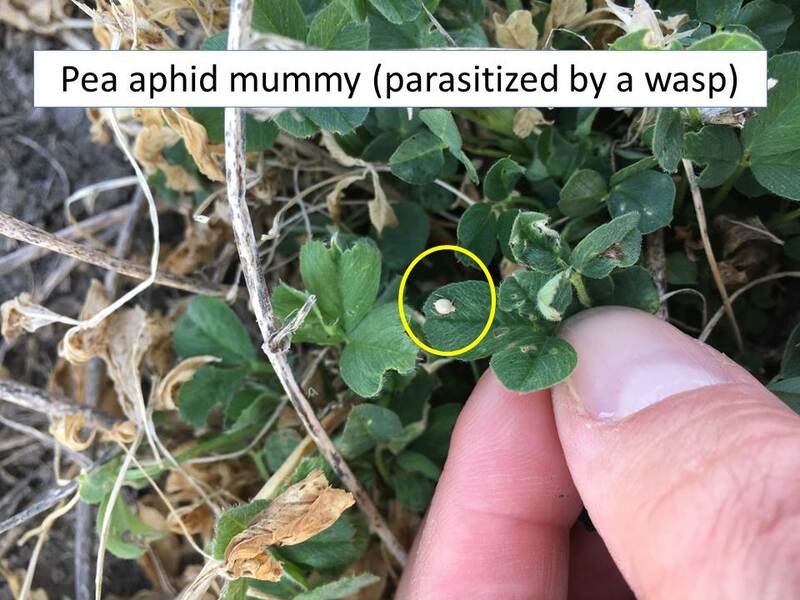 Pea aphids were still present in all alfalfa fields that we checked. 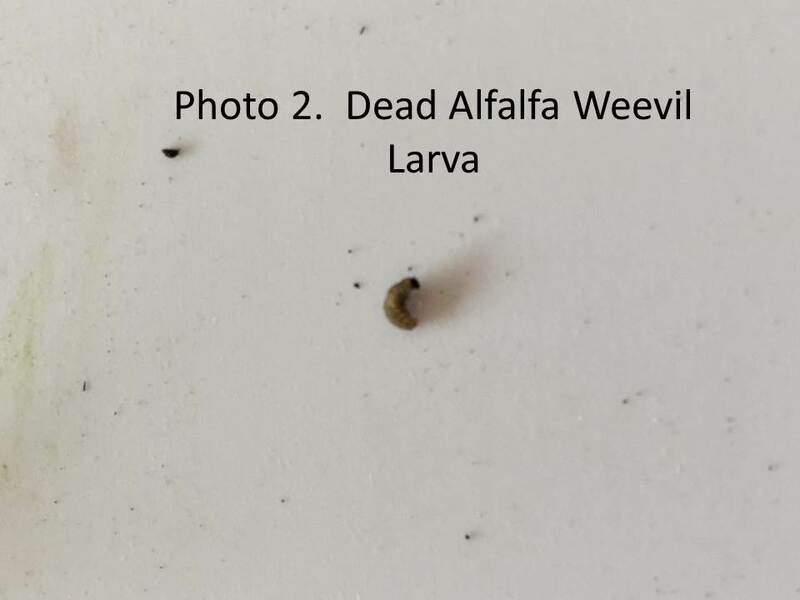 However, no infestation level that would be of concern was detected. 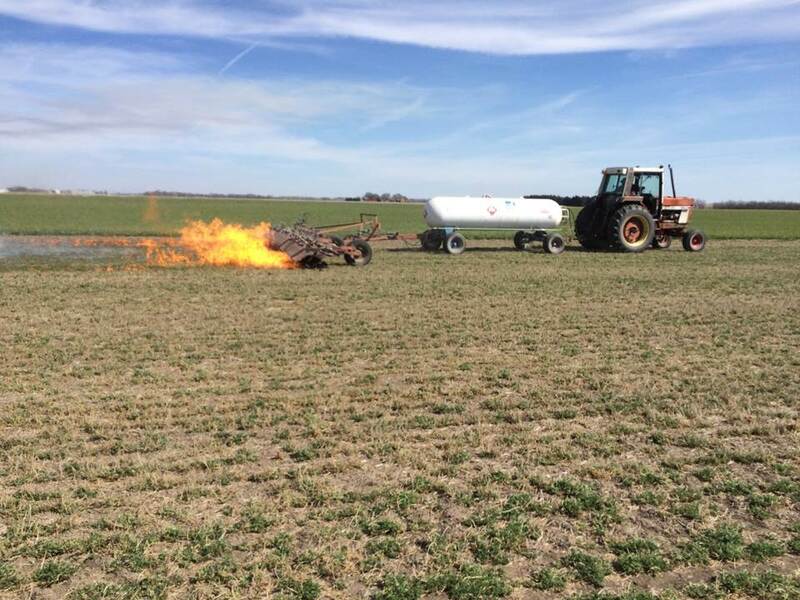 Also some producers have/are burning the existing alfalfa as a form of weevil and weed control.